The Flottweg Simp-Drive® regulates the differential speed according to the scroll torque. 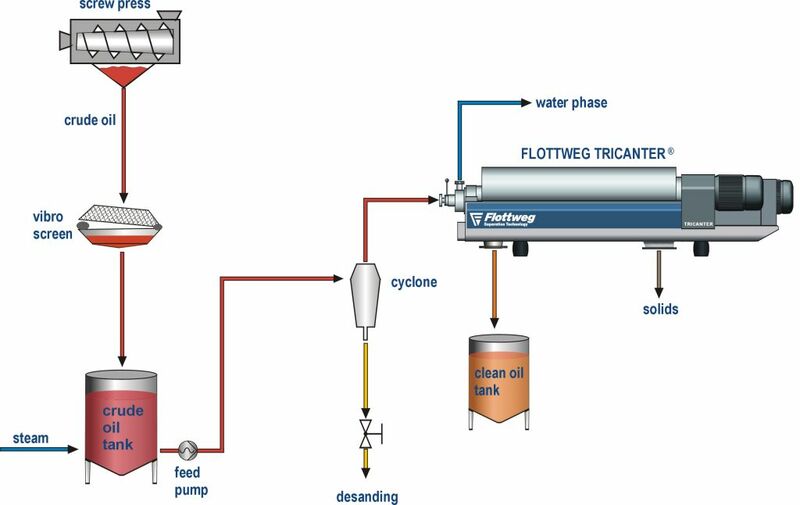 The Flottweg Tricanter® adapts itself automatically to different load levels and processes the palm oil to achieve the maximum total dry solids in each case. Flottweg is certified to ISO 9001 and builds its palm oil refining products according to the latest technical standards – Made in Germany.